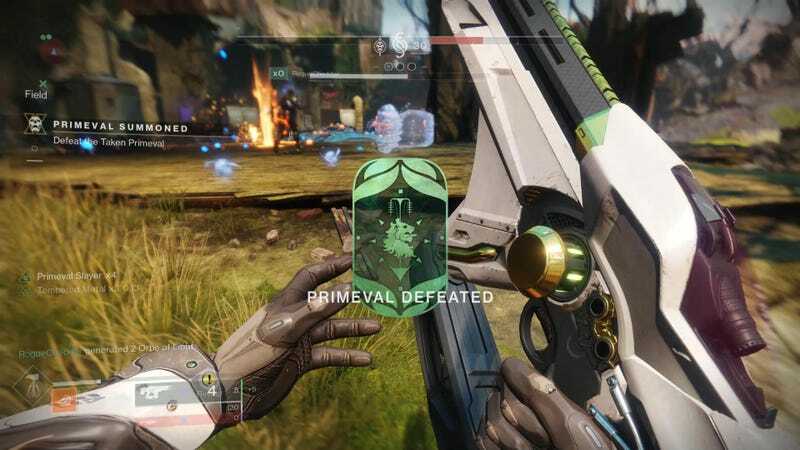 Last weekend, Bungie ran a free 24-hour Gambit trial for anyone who wanted to try the mode out. I played for several hours and had a really good time. In the process, I learned how the game works, and how much of a difference it makes when everyone on your team knows what they’re doing. In the interest of helping possible future teammates know what they’re doing, here’s a breakdown of how Gambit works, along with some tips on how to play well. 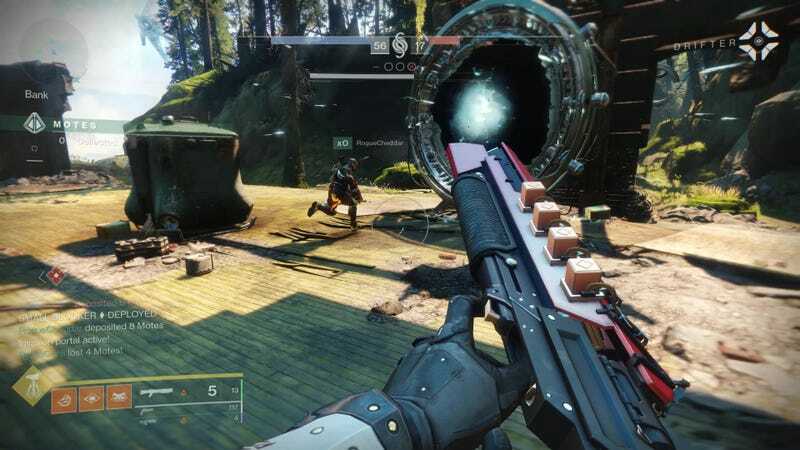 Note that these tips are based on the trial version of Gambit, which was limited to a single map and a couple of enemy types, and did not include new Forsaken weapons, weapon-types, or super abilities. I’ll update this post with additional tips once I’ve played more of the full version. The Drifter is your host and play-caller. Each enemy you kill drops a certain number of white pyramidal Motes, which can be collected and then Banked at a bank in the centre of the map. 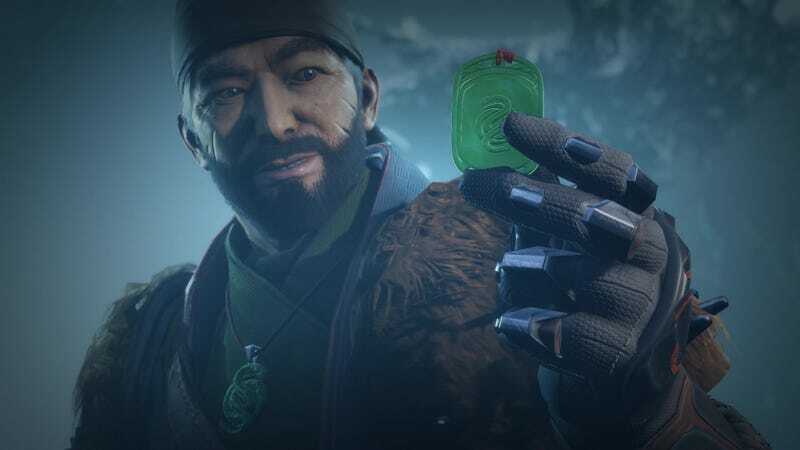 If you get killed while carrying a bunch of Motes, you lose them for good, so the more Motes you have, the more careful you need to be. When a team has banked a total of 75 motes, they summon their Primeval, after which their objective shifts from Mote-collection to Primeval-slaying. So, it’s best to think of each Gambit round as two phases: the Mote phase and the Primeval phase. If you want to do well at Gambit, you’re going to have to communicate with your team. Ideally that means playing with friends or clanmates, but it could also mean sucking it up and hopping into team chat if you’re playing with randoms. There are so many things you’ll want to be able to quickly call out – Mote count, Invader location, Primeval strategy – and the team that talks together, wins together. Here are a couple of examples of bad and good ways to handle banking Motes. After the first couple of waves, let’s say a team collects 25 total motes. A poorly organised team would have their four players carrying 9, 8, 6, and 2 Motes respectively. That’s an inefficient distribution. 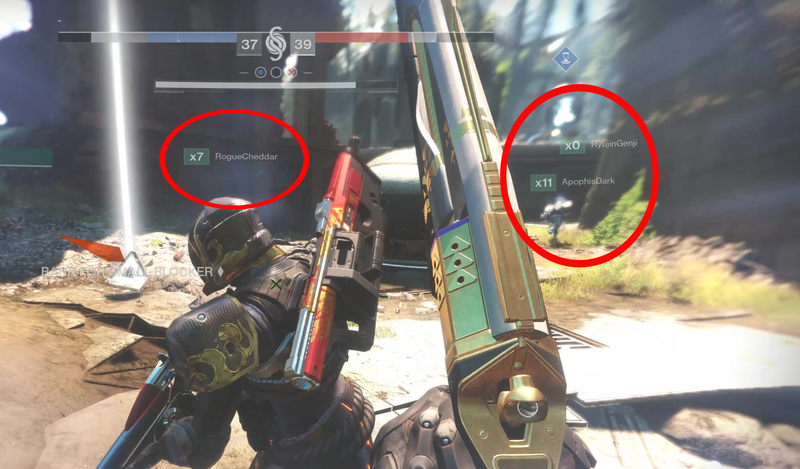 If they banked their Motes, they would send across three small blockers (pretty easy for the other team to dispatch) and open the Invasion portal. By the time their Invader got into the other team’s arena, that team would probably have killed the small Blockers, deposited any Motes they were carrying, and would be ready to counter the Invader. A better-organised team would approach things differently. They’d have players call out what they needed so that those 25 Motes were distributed more productively. When it came time to bank, two players would be carrying 10 motes, and one would be carrying five. They’d all bank at the same time, opening the portal while sending over two medium blockers and a small blocker. 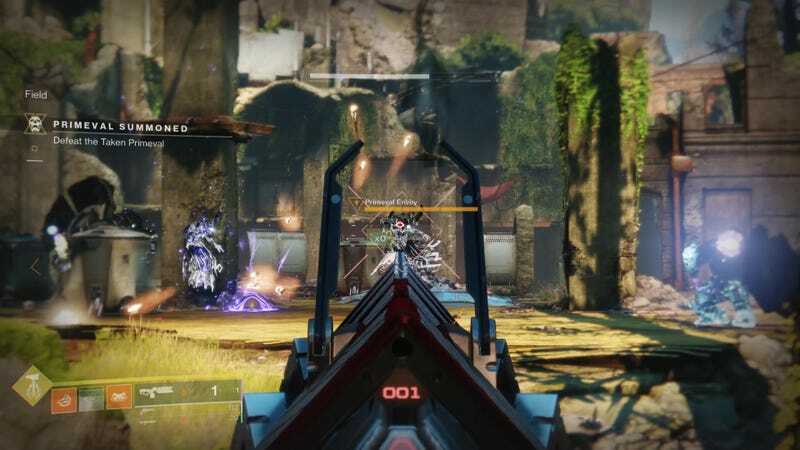 Those Blockers would require a bit of work to clear out, which would leave the other team vulnerable to getting killed and losing their Motes. With the Portal open, you’d be ready to send your Invader over to do just that. 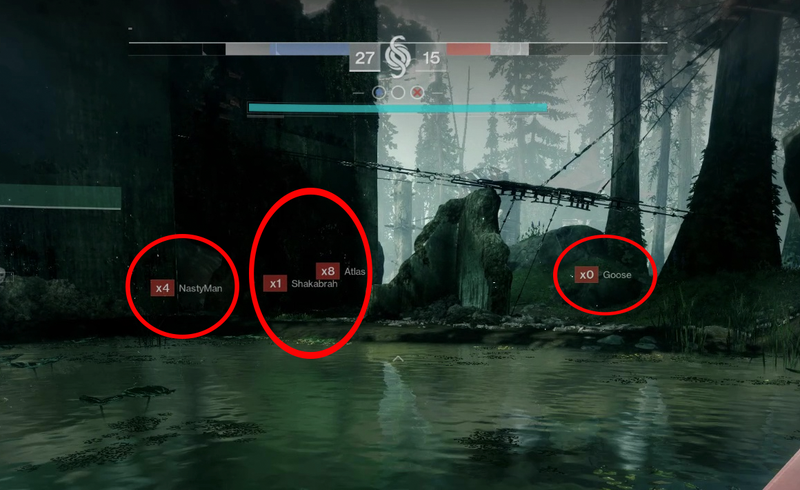 The numbers in the centre indicate how many Motes each team has banked. The opposing team has banked five motes, and my team hasn’t banked any. That means they’ve sent us one small Blocker, which should be pretty easy to deal with. …which should help you prioritise your targets. In the invasion pictured above, my first target should be Atlas, who is carrying eight motes. After him comes NastyMan, then whoever else I can get. The more Motes I can cost the other team, the farther ahead I’ll put my team. I’ve played on teams where one guy was happy to constantly go across, and on teams where two players rotated invading. Rotation can be good for a number of reasons, partly because it gives players more time between invasions, which makes it easier for each Invader to build up their super and get heavy ammo. It also means that the opposing team will have to deal with multiple invasion strategies – maybe one of your Invaders snipes while the other leaps in with a grenade launcher – so they’ll have a harder time getting used to your tactics.